T.I. was arrested in Henry County near Atlanta early Wednesday morning, Channel 2 Action News reports. The veteran rapper, whose real name is Clifford Harris Jr., was arrested after returning to his gated community around 4 a.m. According to the report, T.I. did not have his key for entry and argued with a guard who refused to give him access, Henry County police said. The rapper then called a friend to join him and that’s when things escalated. 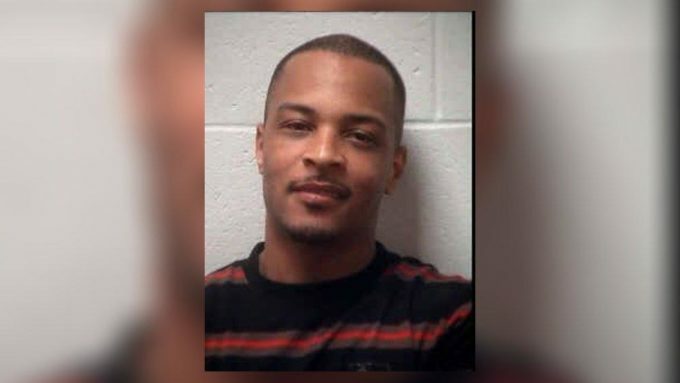 The Henry County Police Department was called to the scene and T.I. and his friend were arrested. According to the police, Tip’s friend had a warrant out for his arrest. They were arrested and charged with disorderly conduct and public drunkenness. He has since been bonded out. Stay tuned more more info on the story. UPDATE: Watch T.I. and officer go back and forth on the reason for his arrest in this jailhouse video.